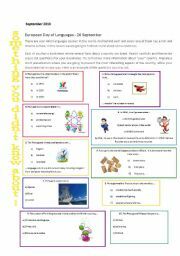 Hello, as a busy teacher I know it is very important to share materials, so this is what I will try to do. This site is great and has so many really inspired teachers posting interesting material. Thank you all. 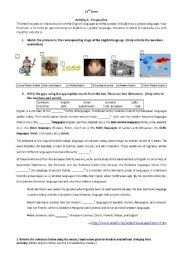 This test is about the evolution of the English language, its spread around the globe until it became a truly global language. 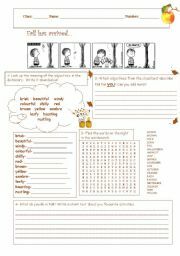 It focusses on several different types of comprehension exercises as well as a a writing activity. The text of this worksheet is about the dangers of the Internet. When you don´t pay attention to what you post on the WWW, you might get hurt. Our students must be aware of these dangers and have to learn how to protect themselves and others. 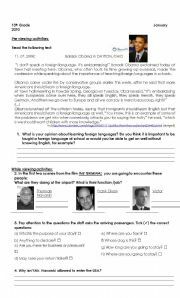 The ws includes reading comprehension exercises as well as grammar. I hope it will be useful for you. 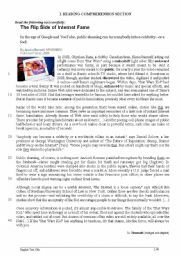 I created this worksheet (which I used as a test) because I of the controversial words of Angela Merkel, Germany´s Chancellor, who admits that a multicultural society is difficult to govern. 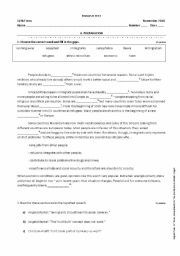 Students have several activities to do: gap filling, reading comprehension, rephrasing, writing - an opinion essay. Enjoy! 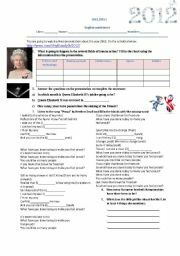 This worksheet was made to go with a presentation on Prezi http://prezi.com/c9qdfoxzfy0t/2012/ It is about things that are going to happen in 2012. Basically to motivate students for this year which has just arrived. I´ve already tried it out and they liked it very much! Happy New Year! 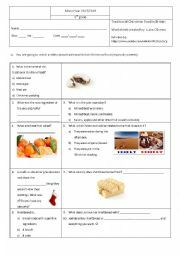 This worksheet was created to keep students attentive while watching a part of the video included in the worksheet about traditional British Christmas food. I used it to introduce the topic "food", to elicit vocabulary about the holidays and look into some cultural as well as linguistic differences. Have fun! 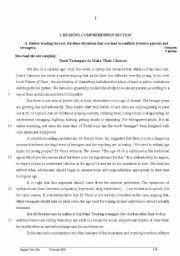 You´ll probably find something useful in this test paper.It is a reading comphehension about teeange years and the tough process of growing up. 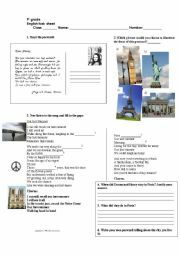 It is followed by grammar activities and a final writing exercise.